Win Fairytale, The Dolphin and Timeless Tales Collection on DVD. 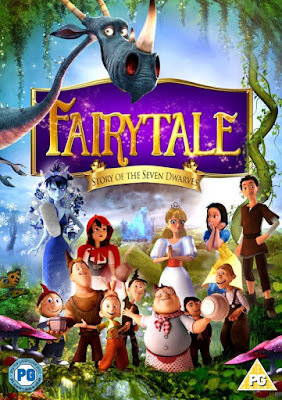 DVD 1: Fairytale - Story of the Seven Dwarfs. A host of everyone's favourite childhood characters come together with hilarious results in Fairytale: Story Of The Seven Dwarfs. When Bobo, the youngest of the infamous seven dwarves, accidentally pricks Sleeping Beauty with a needle, which sends the kingdom into a century-long slumber, he and the other six dwarves must embark on the adventure of a lifetime - to find her one true love and undo the Snow Queen's wicked spell! A hilarious mash up of everyone's favourite fairy tales and a story for young and old alike, this adventure has everything from tap-dancing dragons, to brave little dwarves, a romance between Sleeping Beauty and Jack (of 'the Beanstalk' fame), non-stop gags and toe-tapping songs. Love Shrek? Then you'll be enchanted by this mother of all family films! 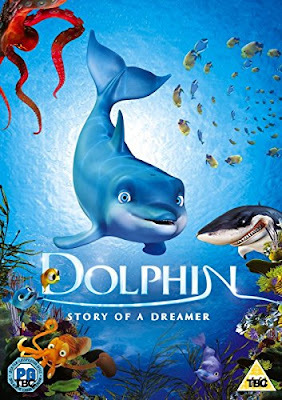 DVD 2: The Dolphin - Story of a Dreamer. Swim along with Daniel the Dolphin and his friends on a magical journey of destiny and discovery as he ventures beyond safety of his pod and follows his heart into the unknown in search of the true purpose of his life. Don't miss the chance to enjoy this heart-warming, coming-of-age adventure, which will make a splash with the young and old alike. Dive in and dare to dream again! 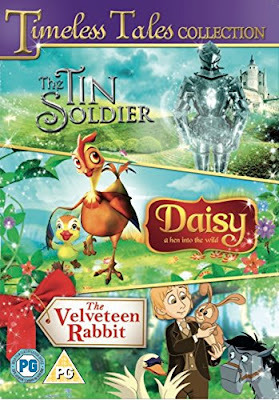 DVD 3: Timeless Tales Collection (The Tin Soldier, Daisy a Hen into the Wild and The Velveteen Rabbit). A timeless Hans Christian Anderson tale about a young boy who begins hanging out with the wrong crowd until he's given a gift of a tin soldier. The soldier comes to life, and uses his steely principles to set the boy back on the straight and narrow. However, the soldier also has a few problems of his own - namely, he's fallen in love with a toy ballerina. Daisy - a Hen into the Wild. On a chicken farm among hundreds of hens is Daisy, a hen who dreams of a life outside of her cage. Daisy manages to escape from captivity using her wit only to find herself being hunted down by the weasel - One Eye. Luckily a brave 'guardian' duck named Wanderer manages to save her by the skin of their beaks or bills as it were. Even though she was saved, Daisy realizes that she is surrounded by danger, especially when she becomes the adoptive mother of a duckling. In this brand new feature film, one of the most beloved family tales of all time comes to life in an enchanting combination of live-action drama and animated adventure. It's the story of a young boy named Toby who is sent by his busy father to spend the holiday season in the home of his stern grandmother. Toby's world instantly changes when he discovers the house's magic, where three forgotten toys including a special stuffed rabbit unlock a world of imagination that will change all their lives forever. The voice talents of Golden Globe Winner - Jane Seymour, Emmy Award Winner - Tom Skerritt and Oscar Winner - Ellen Burstyn, who all star in this heartwarming story about how we bring the things we love to life! Inspired by the classic children's book by Margery Williams and directed by Michael Landon JR.